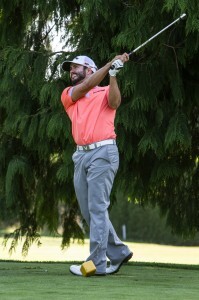 PGA TOUR’s Adam Hadwin Headlines Canada’s Top Pros in VGT-Golf West Vancouver Shoot-out! The District of West Vancouver (Golf West Vancouver) and the Vancouver Golf Tour (VGT) are pleased to announce that Canada’s newest PGA TOUR member Adam Hadwin is coming home to play the 3rd Annual “Vancouver Golf Tour – Golf West Vancouver Shootout” on Saturday, September 27th at Gleneagles Golf Course in West Vancouver, BC. The event will take place from 12:00pm to 5:00pm and is kindly sponsored by The Bernstein Buchanan Group at ScotiaMcLeod, GolfTEC, Nestle Canada, Fresh St. Market and Monahan Golf. “We are extremely excited to have PGA TOUR’s Adam Hadwin’s commit to play this year’s event, which will guarantee a great turnout of our residents to see our facility and to watch some world class golf”, said James Presnail, Head Golf Professional, Gleneagles Golf Course. “We are very pleased to again be working with the Vancouver Golf Tour on this outstanding golf event,” he added. 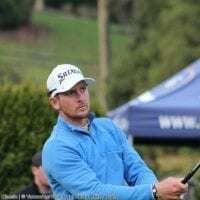 “Last year’s event brought together some great golf talent and juniors from our community and declared a great Champion with Nick Taylor who went onto graduate to the WEB.COM TOUR. The 12-player format will feature 10 of Canada’s Top Professionals including PGA TOUR player Adam Hadwin, WEB.COM player Nick Taylor (’13 Champion), several PGA TOUR Canada players including North Van sensation Eugene Wong, six time VGT Order of Merit Champion Bryn Parry, Gleneagles Golf Course Head Professional James Presnail and one of GolfTEC North Van’s Teaching Professionals. Two amateurs will have the chance to compete against these marquee pros including one community qualifying spot at Gleneagles where the low 9-hole attested score will be extended the invite to play in the event (see details below). The event will play-out as a typical “horse-race” does, with all 12 players tee-ing off the first hole. The two players with the highest score on the first and 2nd holes will be eliminated. Then the player with the highest score at the end of each hole will be eliminated until the final two players show-down on the 9th hole to determine the Champion! The purse for the event is $2,500.00 with the Champion receiving $1,000.00 and runner-up earning $500.00. A $100 bonus will be added, sponsored by the District of West Vancouver, for the longest drive on the first hole. Each player will be assigned a junior caddie from the community. Juniors wanting to caddy for one of Canada’s top Pros can register to participate at the Gleneagles Golf Shop. All other juniors, parents and residents are invited to watch some great golf! 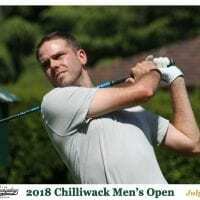 The VGT – Golf West Van Shoot-out event is FREE and fully open to the public and the first 200 spectators to show up will be treated to a FREE hot dog and Haagen Dazs Ice Cream! All spectators can enter (on the day) to win a shot for a $100,000.00 Hole-in-one prize, with $75,000.00 going to the winner and $25,000 being donated to the Lions Gate Hospital. “The Bernstein Buchanan Group at ScotiaMcLeod is very excited to be sponsoring this unique golf event at Gleneagles Golf Course in West Vancouver! 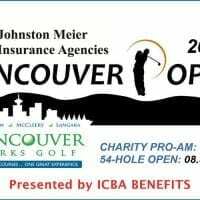 Players will have a chance to win tournament prize money, and one pro and five amateurs (whose names will be drawn that day) will get a shot at the $100,000.00 Hole in One (with $25,000.00 to be donated to Lions Gate Hospital). This is a great opportunity to take part in a fun day, supporting our local community”. The day begins at 12:00pm with a junior caddy putting contest and the Pro’s warming up followed at 1pm by a 45 minute clinic put on by some of Canada’s Top Pro Golfers including PGA TOUR player Adam Hadwin! All twelve players tee off at 2:00pm for the start of the Shoot-out with the final group expected to make their final putts at around 5:00pm! Qualifying for the open community spot to play in the event against Adam Hadwin and Canada’s Top Pros will take place at Gleneagles Golf Course from August 30th to Sept.20th. The cost is $2.00 per try plus the price of your 9-hole green fee. The low 9 hole attested score will qualifying! 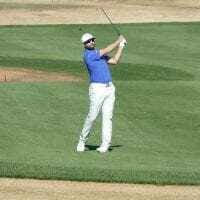 “Having PGA TOUR player Adam Hadwin, arguably Canada’s hottest Pro golfer in the field will really make this year’s event exciting. It is such an amazing opportunity for fans to watch Adam up close and in person and see just how talented he and all the Pros in the field really are! I know Adam is pretty keen to knock last year’s Champion (and good friend) Nick Taylor off the podium at this year’s event! It should prove to be a great battle between Canada’s golf superstars”. West Vancouver Parks and Community Services Division operates two municipal golf courses. Ambleside Par 3 is an 18-hole pitch and putt right on the Ambleside waterfront. Gleneagles Golf Course is a challenging 9-hole, par 35 golfing facility. Its features include practice nets and greens, a golf shop, Larson Station restaurant and banquet facilities. 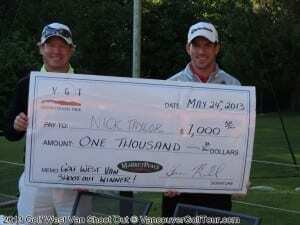 Since 2006 VGT has been giving BC’s local Professionals and Amateurs the opportunity for a high level of competition in a PGA TOUR setting. VGT’s goal has always been to provide local players the opportunity to learn how to win and build their confidence to play on Worldwide Major Tours. The mission statement of VGT is to ‘Prepare Tomorrow’s Champions’. In 2013, a record 15 VGT Professionals competed at the PGA Tour Q-School. And in 2014, VGT accomplished what it set out to do when VGT alumni Adam Hadwin earned his PGA TOUR card on Aug.24th!